Coming to see us is easy. Call us on 1300 733 077 and we will guide you through the steps. We will also send you a simple form to fill in. Your consultation with us will last about an hour. We will first take a close look at your teeth and x-rays and take records of your teeth and bite. We will then advise you on possible treatment options and answer your questions. Before you leave, there will be some take-home material. A report can also be sent to your family dentist. The cost of the consultation is $110, but this is waived if we have already treated an immediate member of your family. So come in for a visit, and let us help you to a happier and healthier smile. Do I need a referral from a dentist? 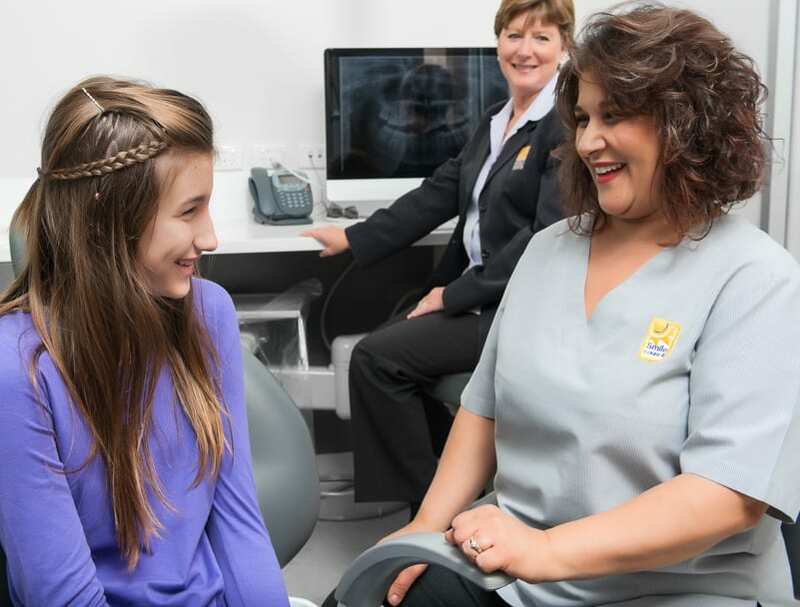 Your dentist may identify a problem with the alignment of your teeth or jaws and make the referral for you to come and see us. Alternatively, you can call us directly at 1300 733 077 to organize a consultation appointment.